Players will finally be able to see the world through their character’s eyes. 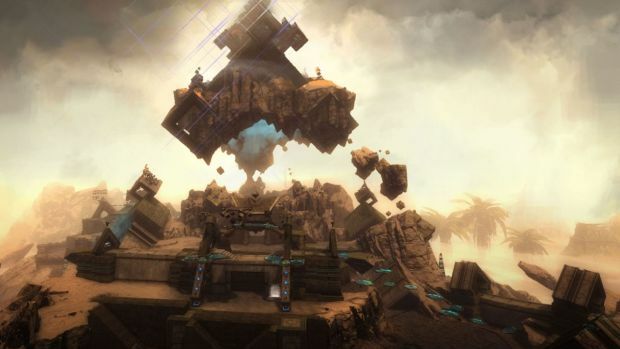 Like the recent PS4 and Xbox One versions of Grand Theft Auto 5, Guild Wars 2 players will be able to experience their MMO in first person mode on March 10th. The new perspective will be coming by way of a new update which promises to let you use first person mode at any point in the game. It’s completely optional though so you can still run around in third person if that makes you comfortable. ArenaNet has promised a live stream on Twitch today for what he first person mode could look like so look out for more details on the same. The update also adds a few more interesting features such as an FOV slider, position slider, a new collision sensivity setting, etc. Guild Wars 2 also has its first expansion Heart of Thorns releasing later this year so stay tuned for more information on that as well and let us know what you think of the upcoming update in the comments.